While you may feel like nothing can impact your happiness on the day of your wedding, it’s important to realize that Mother Nature may have other plans for your special day. Weather, power outages, and other events can impact your plans in a big way. Guests can be delayed in their travel plans by unexpected weather, or you may discover that your venue has encountered some power outages the evening before your reception. In the months leading up to your wedding, be sure to check with the venue to see if they have special plans for any unexpected events. For example, what will your venue do to accommodate your wedding in the event of a power outage? How will the venue handle moving the guests and the reception to a new location? How soon will the venue tell you, and what can you do to ensure that your guests have all the information they need? Once your venue has answered all of these questions for you, you should make an emergency plan with your sweetheart. Compile your guest information into a handy document that you can access by phone. You may even want to consider writing an emergency email and saving it with all the details that your guests will need to know in case of an emergency. That way, you can immediately shoot at the email as soon as your venue alerts you that there’s a problem. If inclement weather is preventing your guests from getting to you, you’ll want to have an emergency plan in place as well. First, make sure that your guests know how to contact you in case they encounter poor weather during their travels. You may even want to designate your wedding planner or maid of honor as the person to deal with this. Ask the wedding venue what they can do to accommodate the late arrivals and shifted guest numbers. You may discover that last-minute arrangements can be made with enough notice. 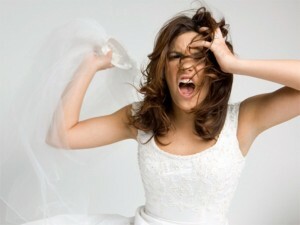 It’s important to note that the best wedding emergency plans will be made in conjunction with your wedding venue. Therefore, consider scheduling a meeting with the owner of the venue to discover emergency plans and what will happen in the event of inclement weather, power outages and more. Don’t forget to ask about how money will be handled, as your venue may refund part of your payment should they be at fault for any wedding emergencies.